Lena Dunham meets fans and signs copies of her book 'Not That Kind Of Girl' at Waterstones, Piccadilly on October 29, 2014 in London, England. Lena Dunham had fun with her look during her book signing in London, rocking a bright green bowl cut. 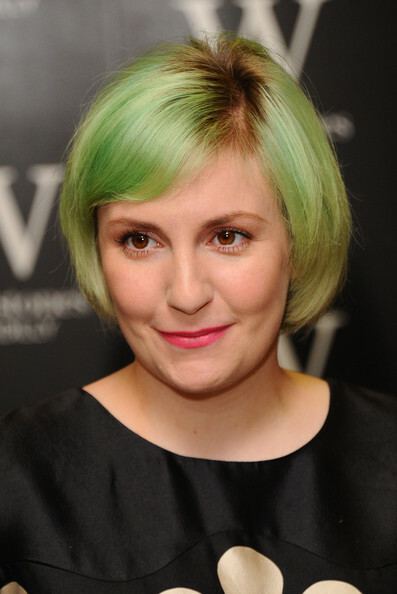 Lena Dunham's pink lipstick provided a nice contrast to her green hair.